So many great things happened at the county fair last week that it's going to take more than one post to brag about cover it all. 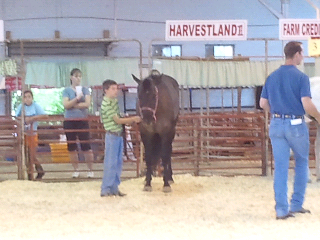 There are two main parts to a livestock show. 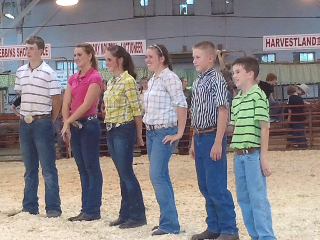 The first is a contest to see which pig, lamb, steer, heifer is the best. 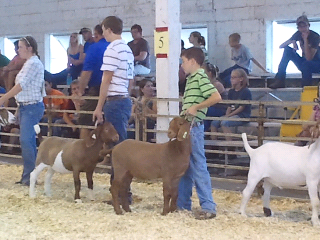 The second contest, showmanship, looks at which kid is best at showing the animals. 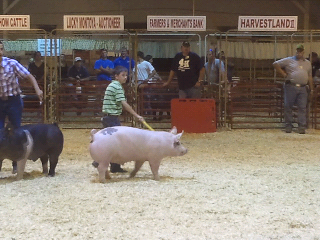 This year at the county fair, Ryan showed his little heart out in the swine showmanship contest. He was very close to beating out the much older kid who won. A few days later, Ryan, aided by his well-behaved Ayshire heifer, Daisy, won the dairy showmanship contest (and a trophy almost bigger than him)! 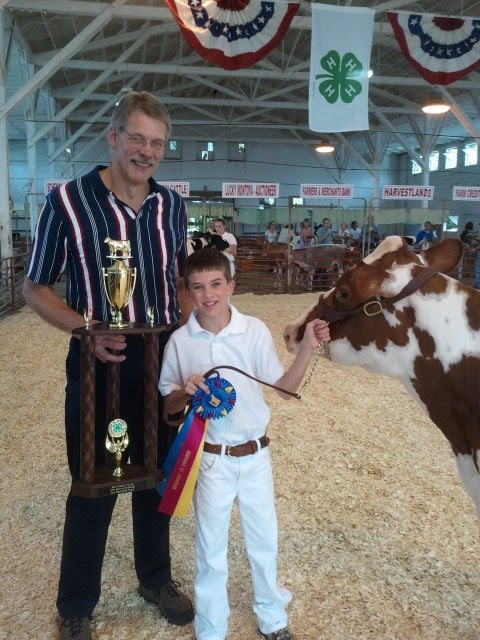 As we collected the huge trophy, we realized that he was now automatically entered in the fair's premier event--the Showman of Showmen contest--where the top showmen from each species compete to see who is the top exhibitor overall. Husband won this show way back in the 1980s and he knows that this is a grueling event. Ryan prepared by studying up on other animals he didn't know as well like goats and horses. 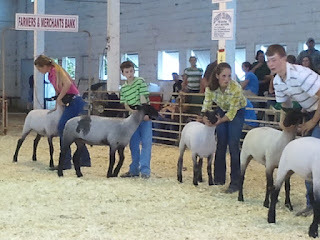 Over the course of two hours Ryan showed seven animals against the top six showmen in the fair. 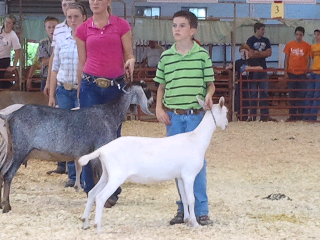 He showed: Goats. Goats again. I don't know, either. And dairy and pigs again, of course. 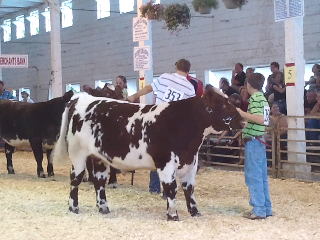 You can see in this picture that he was the youngest competitor, by far, and while he didn't win Showman of Showmen, he has a long 4-H career ahead of him. And a great big dairy trophy.